Faro is the most southerly city in Algarve, Portugal and boasts picturesque views and a beautiful beach which welcomes visitors and residents alike. Make the most of your visit by taking your pick from our selection of hotels in Faro below. The old town offers attractions in the form of historic buildings, with off-road tours available and boat tours to take you around the coastline. Sport lovers will appreciate the Estádio Algarve 30,000 seat stadium, which was used as a venue during the Euro 2004 championship in addition to being used as avenue for concerts. The city is served by the international airport, as well as excellent access by boat and with road links to neighbouring Algarve areas. 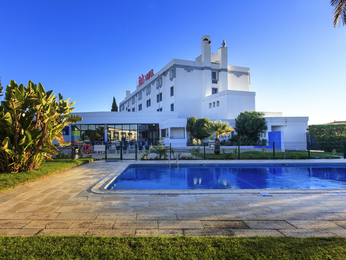 Booking a hotel in Faro with AccorHotels couldn't be easier. Simply browse our selection of hotels below and choose one that best suits your needs. Booking online with AccorHotels offers a host of benefits, including our Best Price Guarantee and last minute and real-time room availability.